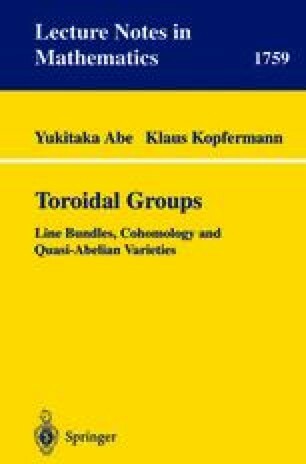 The general concept of toroidal groups was introduced in 1964 by KoPFERMANN by the irrationality condition. Morimoto considered in 1965 complex Lie groups which lack non-constant holomorphic functions and contributed basic properties of them. Kazama continued the work with pseudoconvexity and cohomology groups.